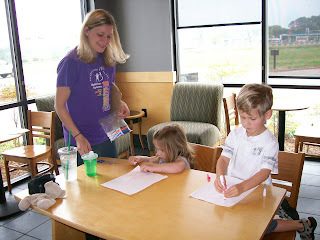 Dawson and I met Angie and Kaelin at Starbucks on Friday to celebrate Angie's birthday. The kids were great and managed to keep themselves entertained for an entire hour!! It was a wonderful birthday celebration! 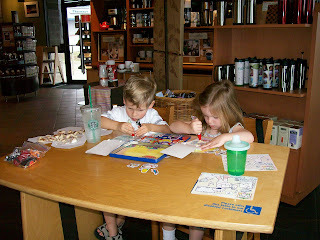 Dawson and Kaelin both intent on their drawing. Angie helping the kids color. Thanks again for making my birthday so wonderful. You're the BEST!